Since I have moved to London 8 months ago, I have fortunately realised that UK is not only about… London. Or about Oxford, or Cambridge, for the prestige and Harry Potter lovers. Or Manchester, for the football fans. Or about any other city or place that one, my old self included, would easily picture, mostly because these are the most promoted ones. My boyfriend is very keen on photographing birds and animals in their natural habitat so he implicitly researches the subject and follows any opportunity. 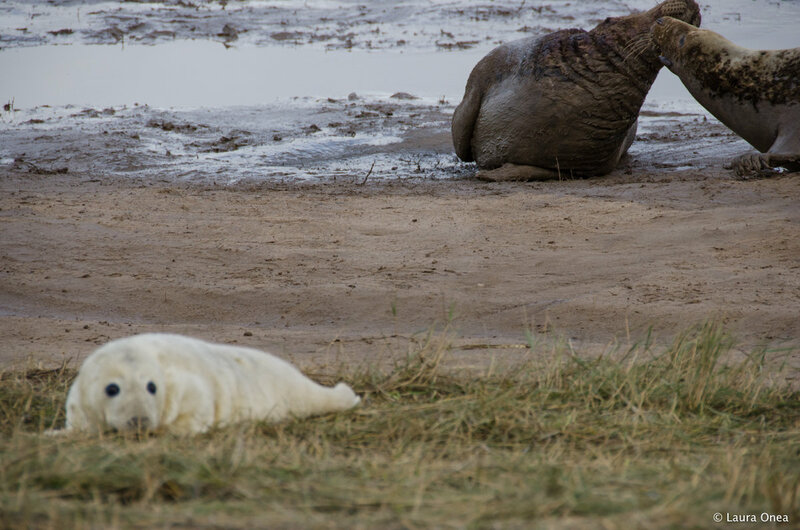 Thus his sudden proposal to make the most of one weekend and go see the grey seals and their newborn pups didn’t come as a surprise. And as birds of a feather flock together, it didn’t take me much to get enthusiastic about the idea. 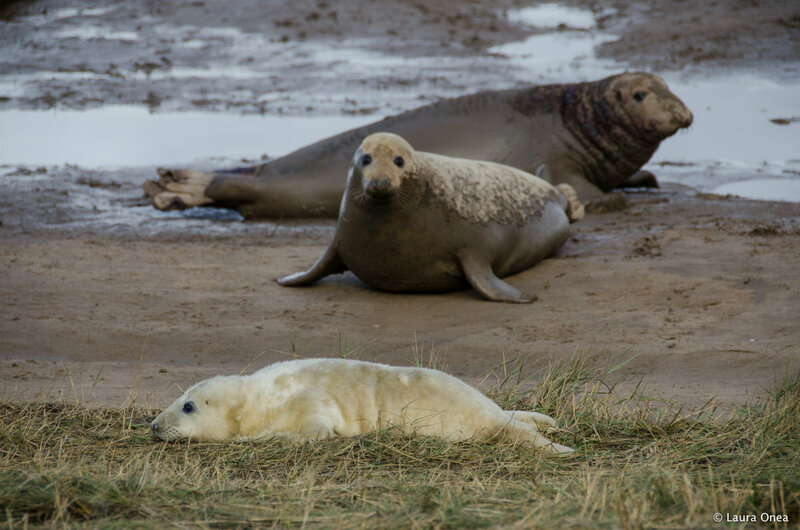 Donna Nook Nature Reserve is a strip of land along the east coast, approximately 250 km north from London. 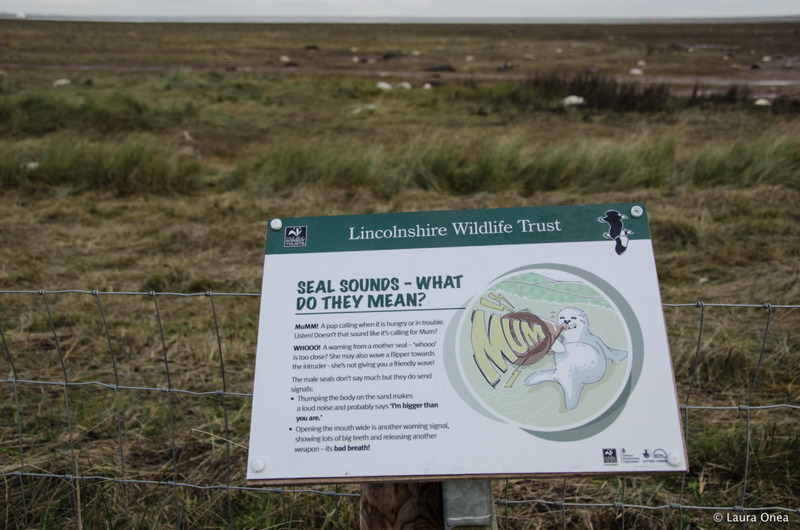 The area is very rich in wildlife, especially when it comes to species of birds and grey seals. Part of the land is also used for bombing and firing testing by the Ministry of Defense. 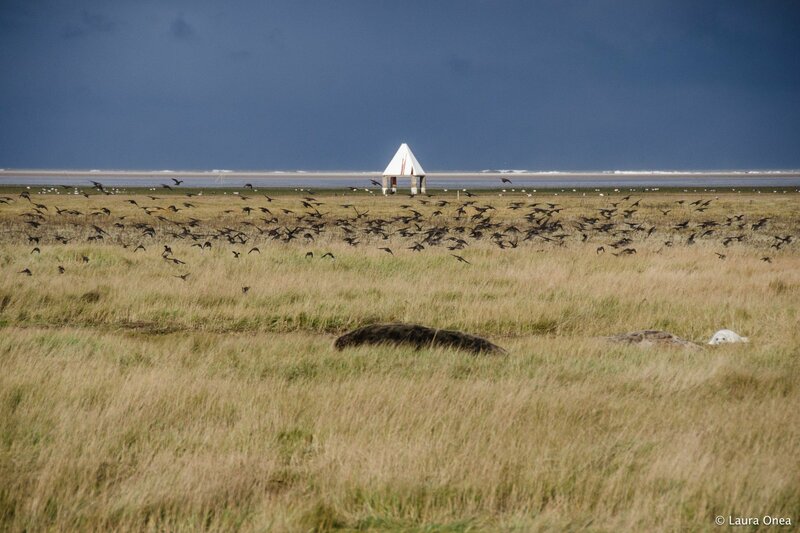 Wildlife seems to have become accustomed to regular aircraft bombing. 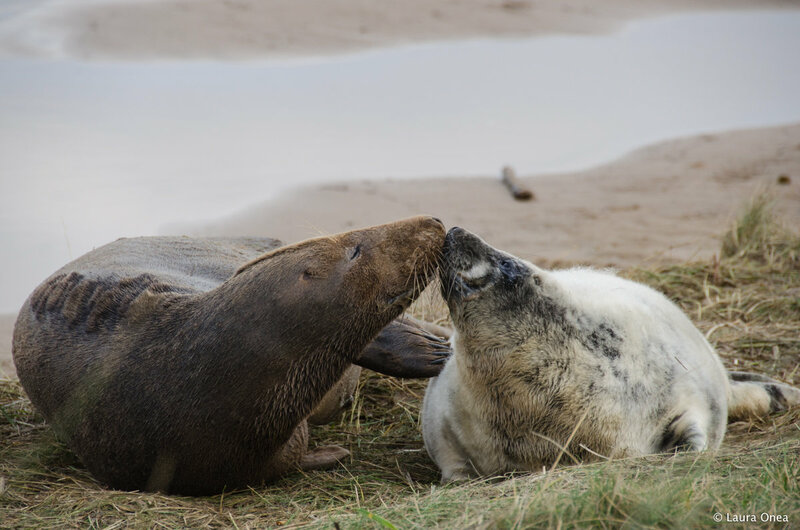 November and December are famous for the seals’ birth and mating season, which gets the attention of many, especially photographers and families with children. 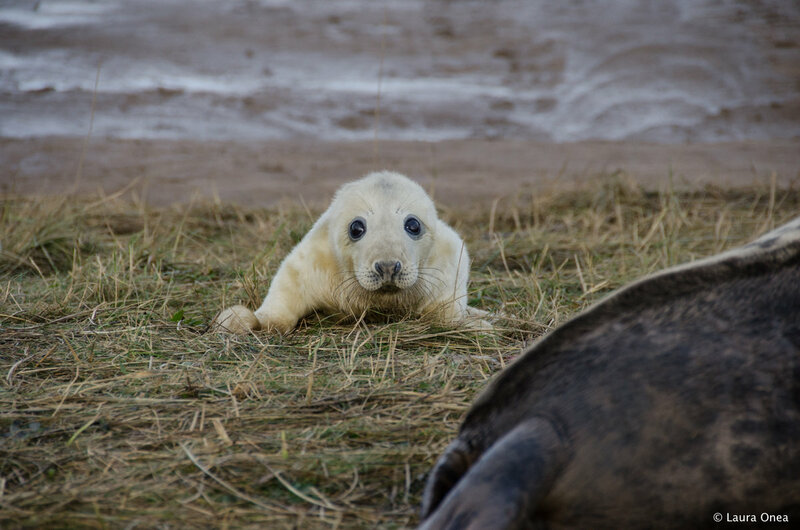 After seeing some pictures with the fluffy (I must admit that for me, ‘fluffy’ is a strong word in itself, I cannot stay aside from anything that bears this characteristic :- ) ) newborn seals, I got very excited by the trip. 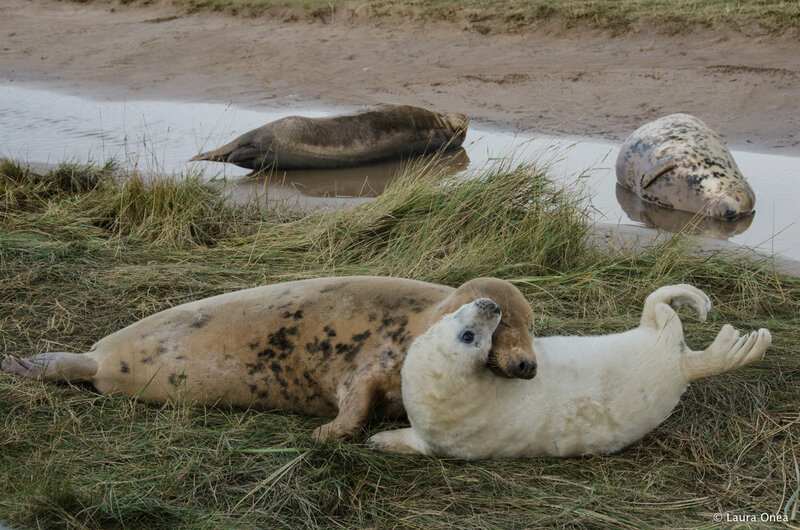 It was a new thing for me to see, live, animals engaged in such a intimate and heartwarming experience. Few days before we got there, more than 700 had already been born, so you can imagine the thrill. Being there was far more beautiful than I actually expected. 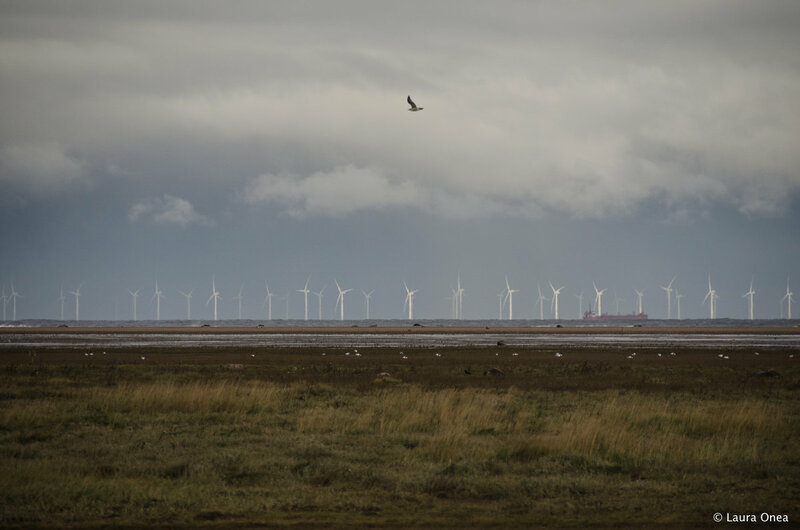 The temperatures dropped so considerably on that weekend, you could intensely feel the slap of the sharp winter wind. I remember that no matter how many layers of thermal clothes I would put on me I could still feel the daunting cold. 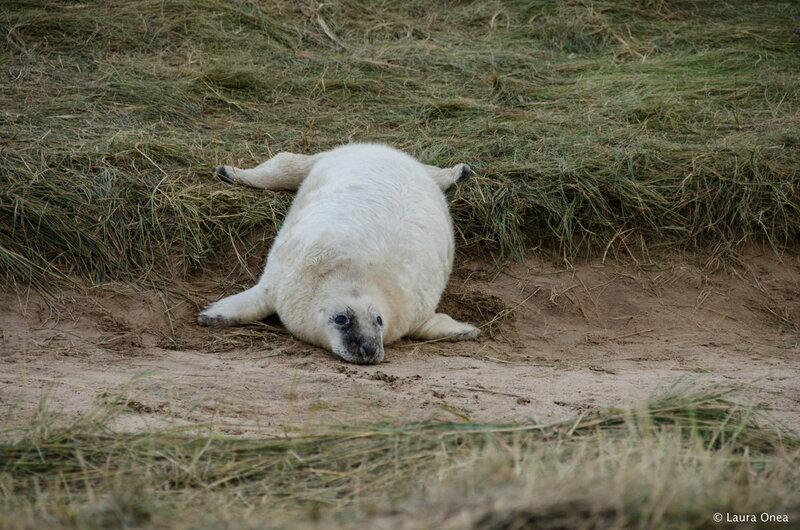 The perk of it was that not too many dared to go out on that weather, not to mention do something that didn’t involve too much movement, like seal watching. Which of course meant less crowded. I didn’t expect to see sooo many seals in one place. I actually don’t remember seeing any that close, in their natural environment. You start hearing them before you reach the spot and the sound may seem a bit creepy at first but this feeling soon diminishes as you enter their world in more depth. 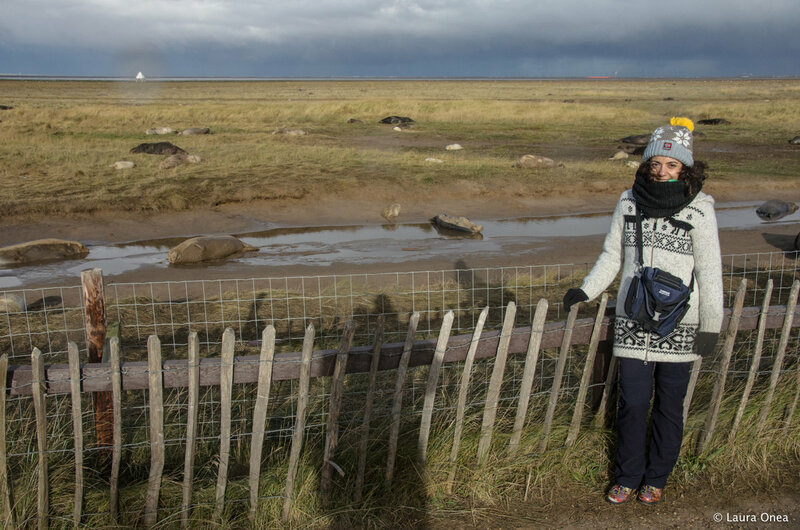 The strip of land where the seals can be seen covers about 2 km and there is a fence between them and the visitors, as trespassing can harm both animals and people. The spectacle was absolutely fascinating, and quite diverse. 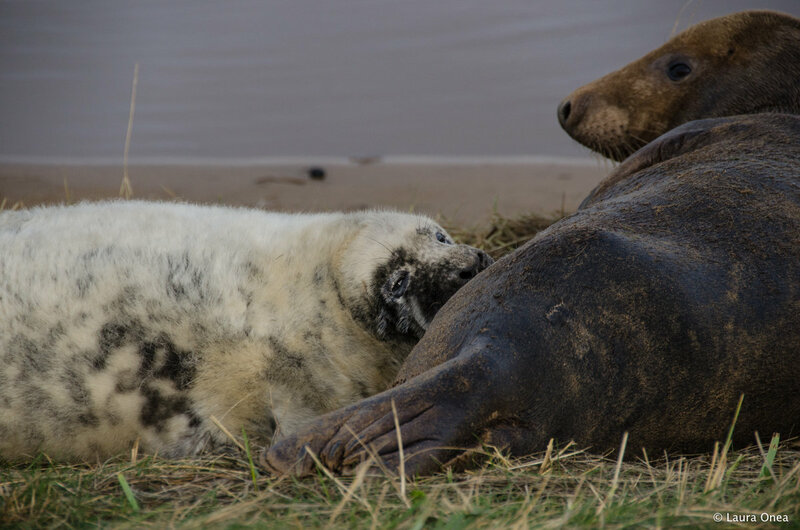 There were, of course, the intimate and emotional moments with mothers caring for their babies, kissing them, breast feeding and guiding the clumsy pups to their breasts. 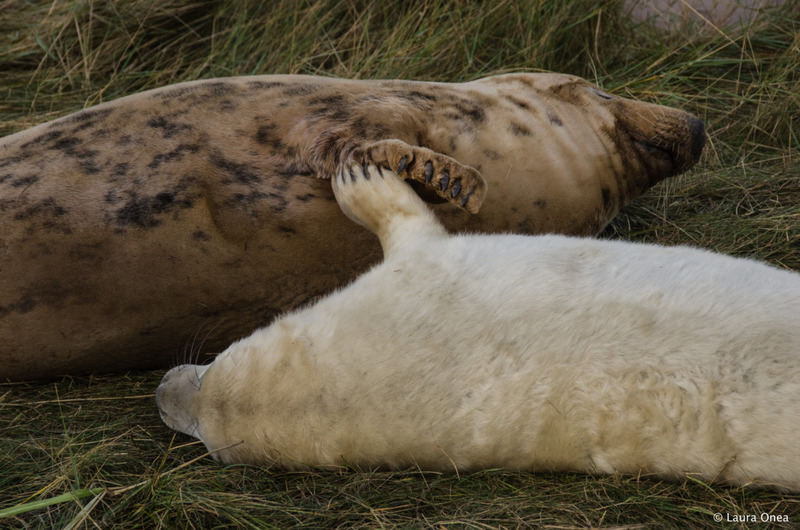 But there were also the funny moments when you could spot seals rolling from one side to another or the fattest ones sleeping with a smile on their faces. 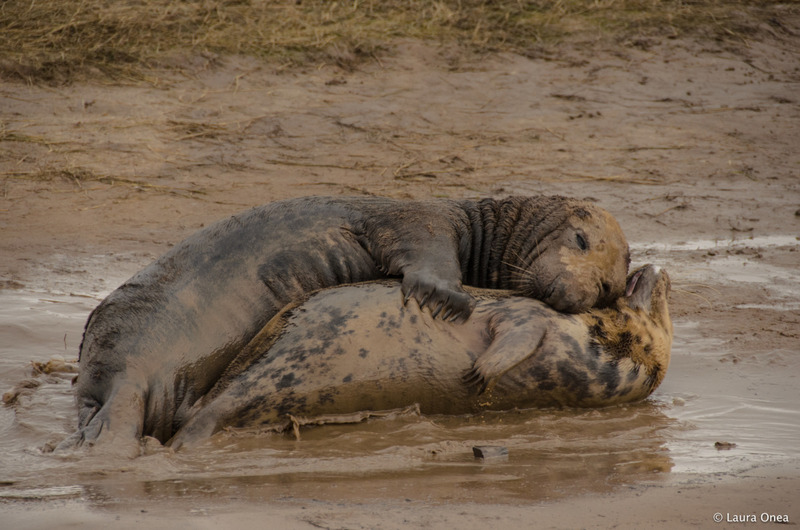 Then the also intimate but a bit uncomfortable moments when the females and the males made love on a bed of… no, not roses, but mud, or the intense ones when mothers were defending their babies from other intruding seals. 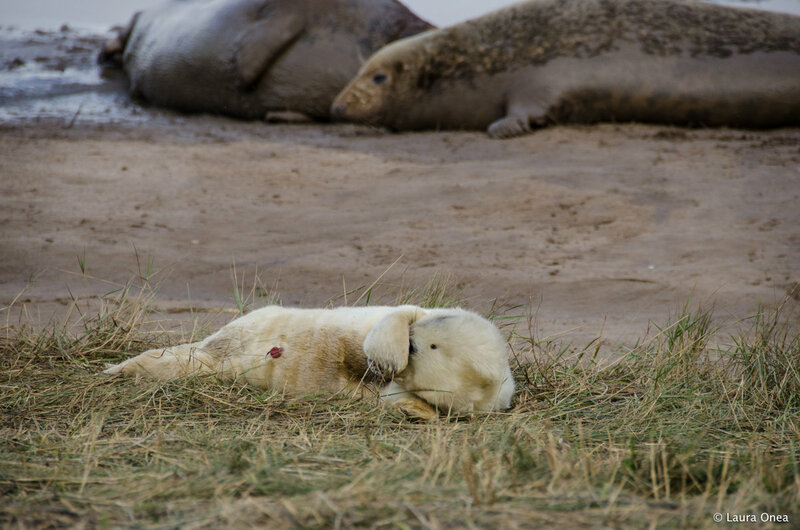 But on top of all, there were the adorable and fluffy baby seals. I don’t remember seeing anything fluffier than this. It was hard not to pet them but I knew this was not possible due to the fact that mothers would have abandoned them if they sensed any human smell on their fur, so I enjoyed watching. 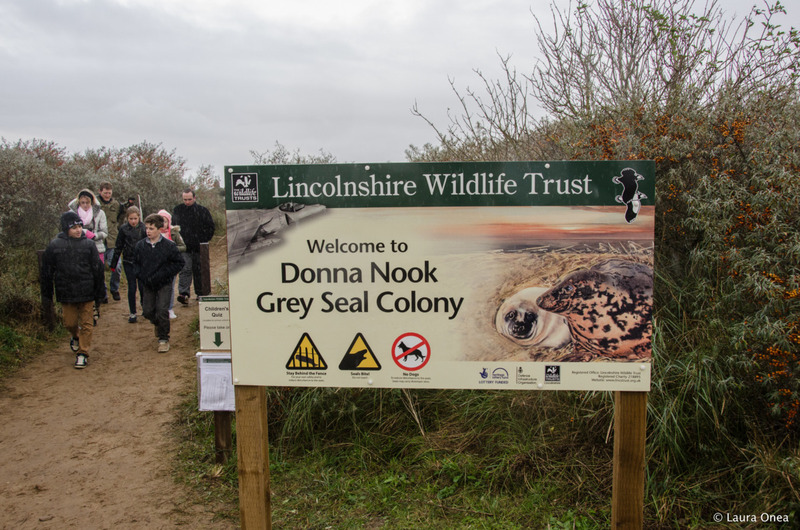 We arrived at Donna Nook 1 hour before sunset which didn’t leave us too much time to linger on singular experiences and take closer photos. Plus, we were shivering, being very cold. 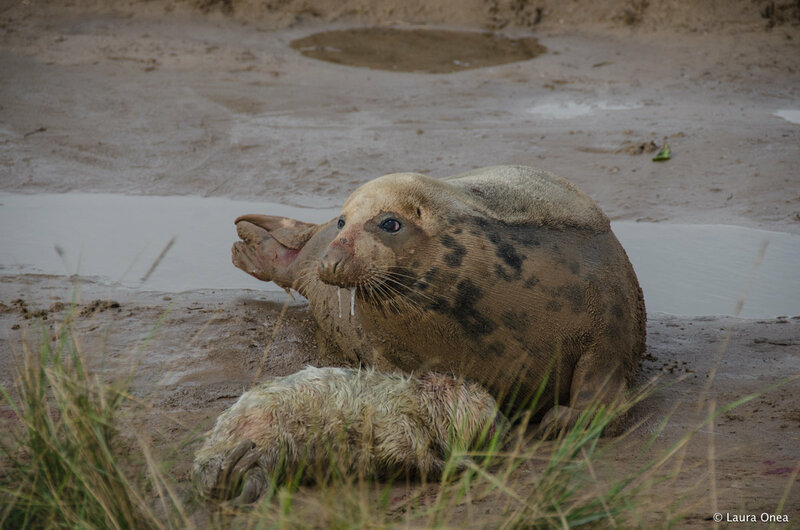 I actually felt a bit sad to leave the seals there on that weather but I was reassured that they have enough fat to keep them warm. :)) Our accommodation was at 15 min drive from the Reservation and one of the many wonderful and authentic experiences we had since we’ve started booking through Airbnb. Our guests’ home was an oasis of warmth and cosiness, the perfect antidote for frozen hands and feet. 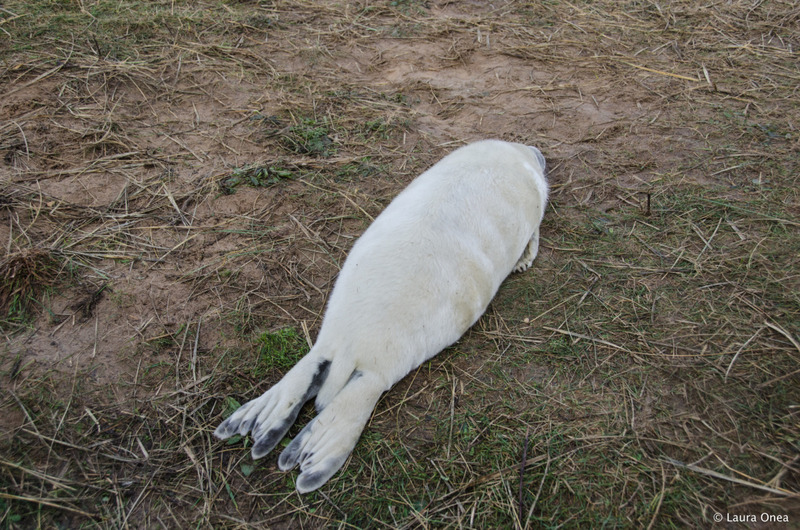 We slept well and woke up quite early (though not as early as we have initially planned) to go catch another glimpse of the seals. 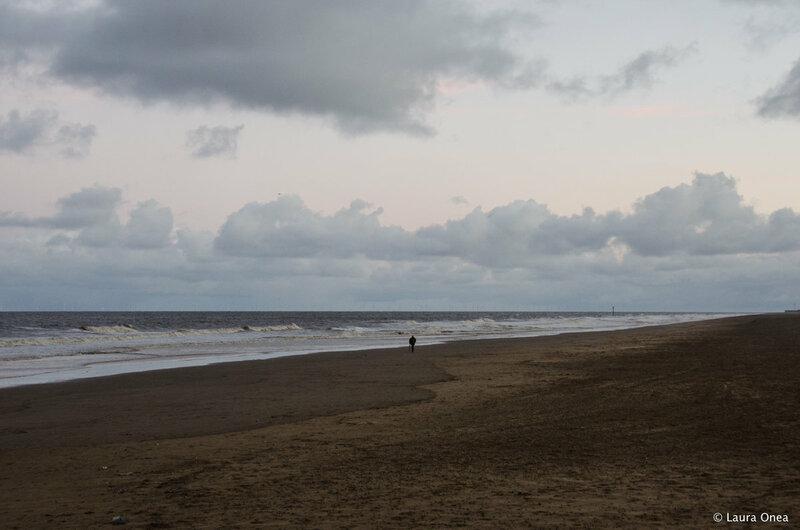 Early in the morning and before sunset are the best options to go see them, especially if you arrive there during the weekend, because there are considerably less people and you don’t have to squeeze to catch a nice moment and linger on it. As the day moves on, more and more people reach the spot and the moment loses its charm. 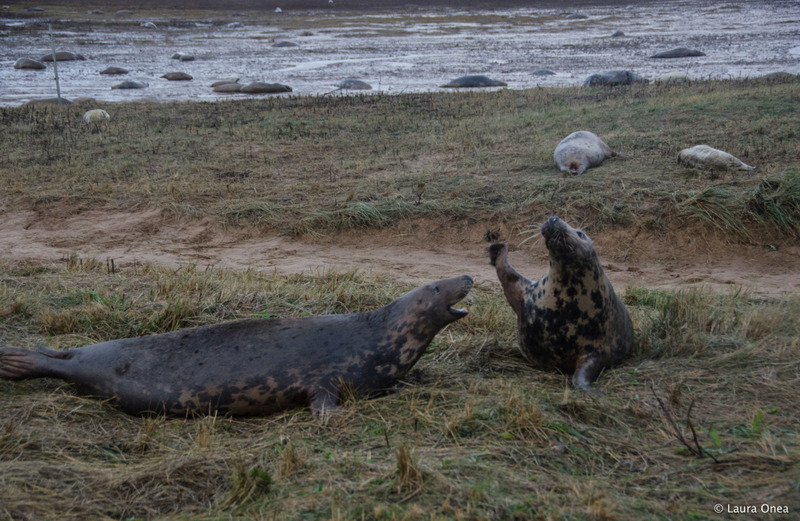 The seals seemed more engaged during the morning. 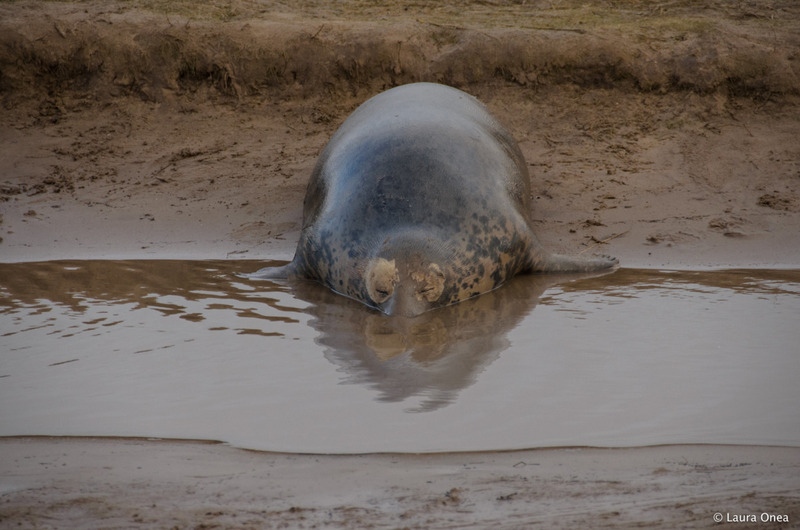 You could still spot the fatty ones whose only activity was to roll from one side to another or to sleepily enjoy the mud. 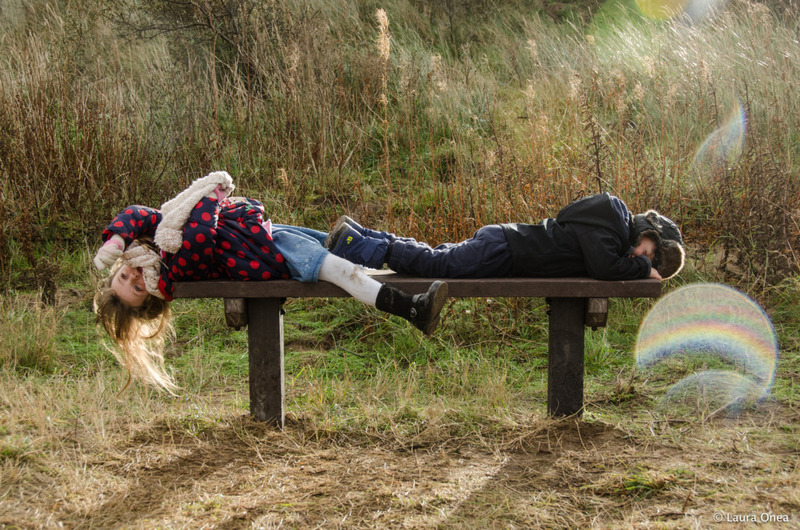 Once in a while you could see their head rising and scanning the surroundings, but other than that, they couldn’t care less. :)) But there was an overall feeling of dynamics. 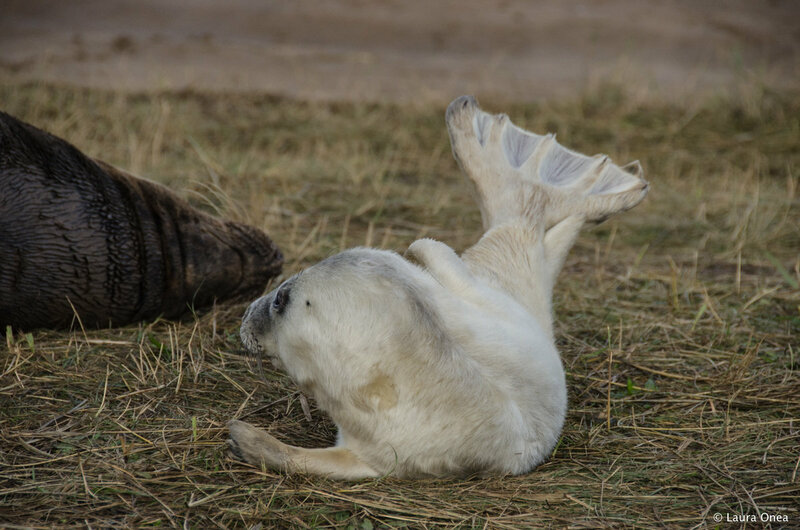 As dynamic as a seal can be, given the fact that they are limited to crawling. 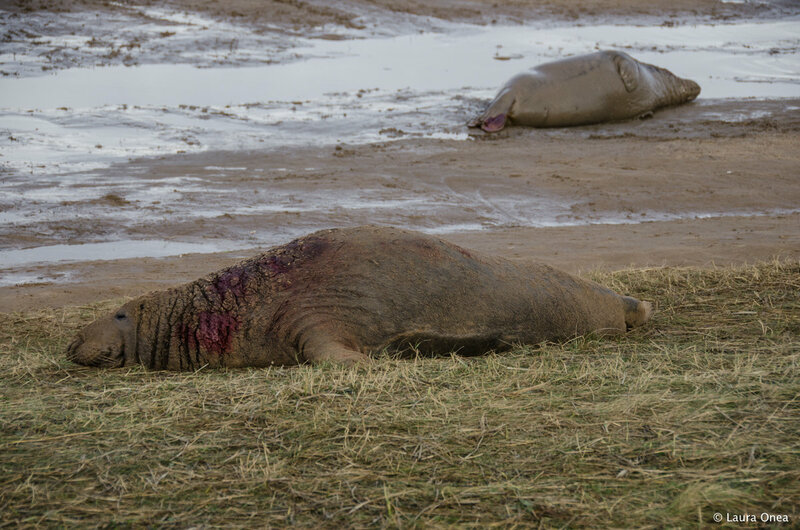 You would be surprised, though, how quick and powerful they are, despite being so fat and having no legs, especially when it comes to defending their pup or fighting for a female. 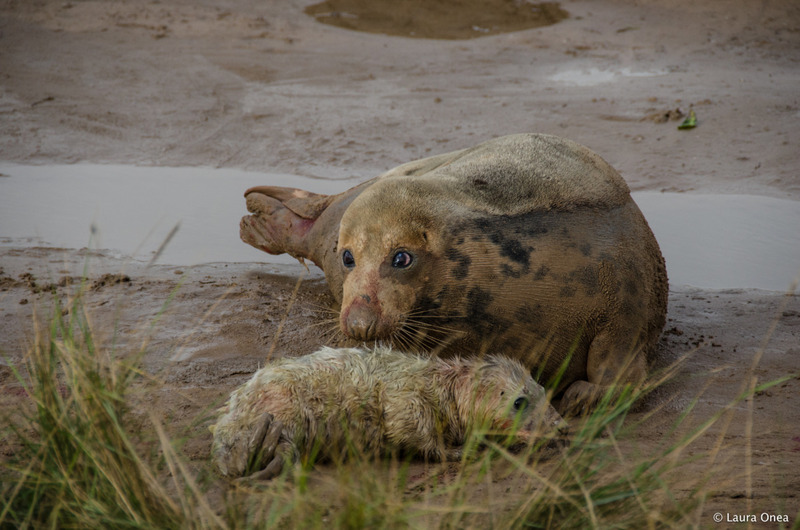 Witnessing the first minutes of a newborn baby seal was one of the most emotional moments we experienced at Donna Nook. We reached the spot right after the mother gave life to a small and confused pup. She was now washing him, and probably teaching him how to experience the surroundings. Mothers stay with them until they learn how to survive. 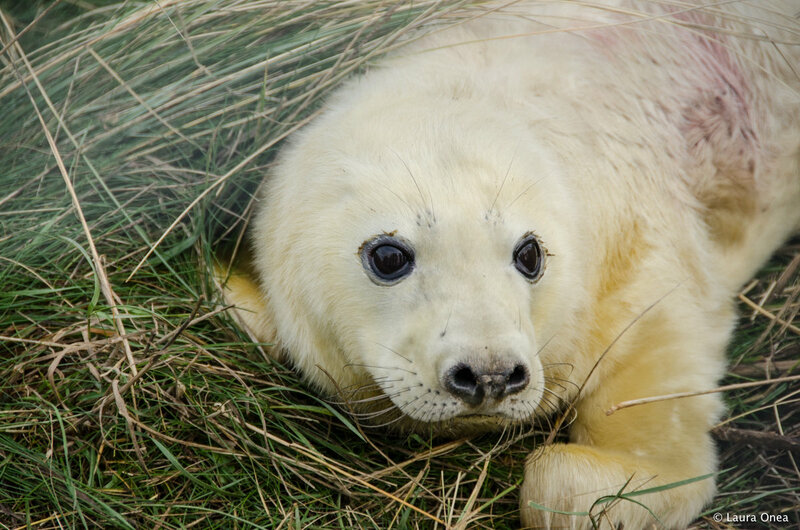 More than 1000 baby seals had been born by then and you could see them curiously sniffing the world, with their big round eyes and playful paws. Most of them came very close to the separating fence as if they knew they are going to melt humans’ hearts with their cute little faces. As more people arrived and blocked most of the views, we decided that was the end of the journey. 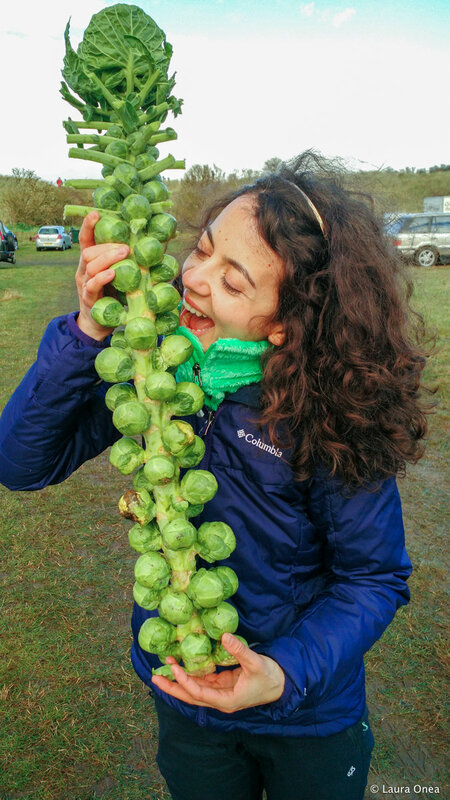 We didn’t leave without buying some local treats like Brussels sprouts, cauliflower and other goodies of the kind.